Hechingen the city near one of the most famous castles in Europe Burg Hohenzollern, near the town Tübingen, an old University city, with an sightseeing old town. We are central to Black Forrest, Rheinfall from Schaffhausen, Switzerland, and many more! Have you any questions, please call us. Please note, the booking Price vary! A holiday house, we are a nonsmoker house. On two floors, 4 sleeproom, with eat in kitchen and bathroom. Hind the house a beautiful garden, a few steps to an Stream. 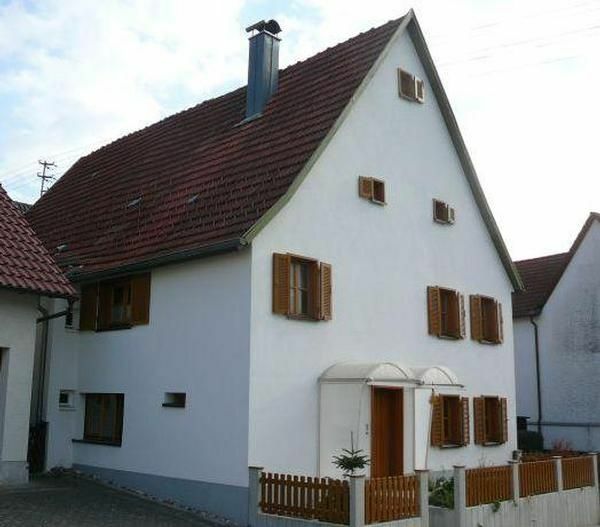 You can wandern, bicycling, swimming in a near by a indoor swimmigpool with arificial waves, a wellnese center with sauna. factory shop from Marccain, Mey in the near. The Outlet City Metzingen is 40 Minutes with car. Indoor Playground with climbing wall and many more! Your fast in the city Rottweil old town and fast on lake constance! - Towels: once per person for rent at a price of 6 EUR (optional). - Pet: per object and week Costs amounting to 25 EUR (Mandatory). - Cot for children: per person and week for rent at a price of 8 EUR (optional). Bed linen (once per person, vorhanden 9 EUR). Cot (per person and week, according to consumption 8 EUR). Parking facilities (per property and day, included in price 0 EUR). Towels (once per person, vorhanden 4 EUR).